According to the 2014 World Giving Index, Singapore ranked 18th for how often residents donate to charity. Compassion and kindness are fundamental traits that define mankind. Some philosophers like Laozi consider them inborn qualities to all humans. But since ancient times, they have been universally regarded as qualities of the virtuous. In our politically and economically driven world, some cynics pan acts of charity and kindness as self-serving – a means to further one’s status and self-interest. But others would beg to differ, particularly those in one of the world’s busiest countries – Singapore. From compulsory community involvement programs (CIP) in secondary schools to voluntary charity projects in tertiary institutions, the vein of altruism is present throughout our education system, nurturing a culture of giving. According to the 2014 World Giving Index, Singapore ranked 18th for how often residents gave money to charity. The Index also reported that this was a remarkable improvement of 80 places, as compared to three years ago. Such phenomenal improvement could be attributed to the government’s all-rounded framework, which aims to instill compassion in every resident from a young age, starting with community service education. Elson Soh, founder of ‘Project Awareness’ – a social initiative group that inspires volunteerism in youths – shared with Epoch Times that his philanthropic journey has completely changed his view of Singapore. Instead of a Singapore that is “very result-oriented and materialistic”, he now sees one that is sure to extend a helping hand to those in need. 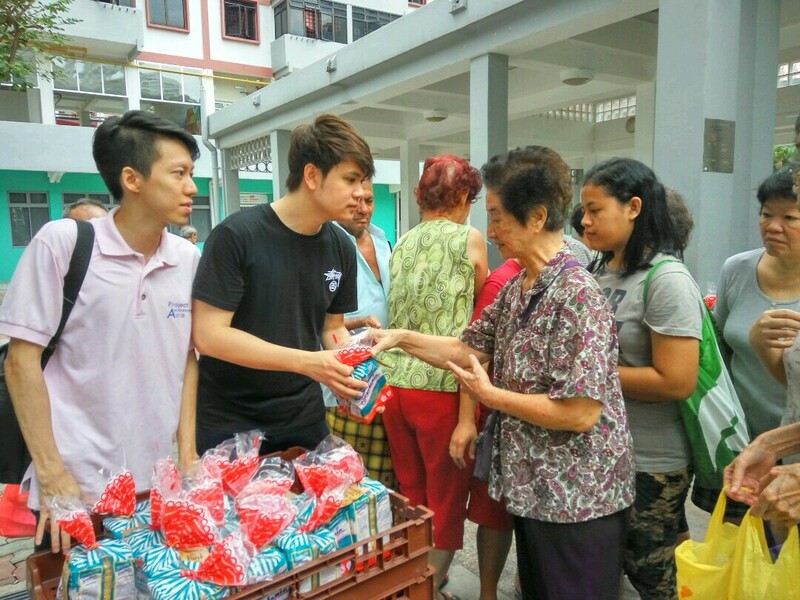 Elson Soh, founder of ‘Project Awareness’ – a social initiative group that inspires volunteerism in youths, distributing bread to the elderly. The ripples of compassion can be witnessed in other aspects of society as well. One quintessential example is Singapore’s healthcare system, which makes our “little red dot” a popular medical destination for patients globally. Besides the conventional medical tourists from Indonesia and Malaysia, the healthcare sector is also seeing increasing numbers of patients from countries like China, India, and Vietnam. 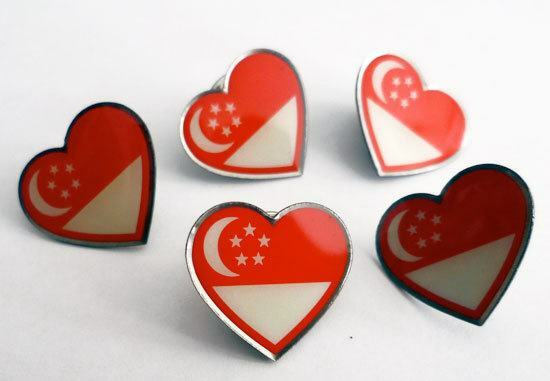 A ground-level survey of over 100 foreign patients in various hospitals revealed that, besides geographical convenience and state-of-the-art medical technology, most patients chose Singapore for the first-rate care they received from the hospital staff. These encounters ranged from simple expressions of genuine concern during office consults or hospital stays, to cases where healthcare professionals went out of their way to help those in great financial or psychological need. The stories of these foreign patients reflect the healthcare sector’s mission and values — one that strongly embraces the element of compassion. While there are many examples that attest to our kindness as a society, there are also ugly aspects of our society that can leave one feeling disillusioned. One prominent example is Singapore’s rush hour periods, when commuters push, jostle and cut queues to get on crowded buses or trains. Faced with environmental pressures, the desire to protect one’s self-interest overwhelms basic values of courtesy and consideration. In order to rectify these social issues, rules and regulations are implemented. For example, train platforms now have painted queue lines to regulate the crowd. When that becomes insufficient, platform marshals are deployed. While this approach seems to solve the issue, it is important to recognize that rules and regulations can govern people’s actions, but not their hearts. As kindness is gradually eroded by self-interest, increasingly sophisticated rules and regulations will be required to keep society in check. We risk turning our society into one that is more chained and shackled by regimented laws than it already is. It therefore follows that nurturing kindness and consideration is still paramount for a harmonious society. In so doing, we cultivate a society that is a joy to live in. Has Cultural Marxism Spread to Singapore? Are We Hoodwinked Into Sexual Promiscuity? Should Small Countries Keep Quiet? Will Gojek Bring Our Favourite Promo Codes Back to Singapore?